Cornell Law School has invited Hon'ble Justice Jasti Chelameswar to speak at the Law School. 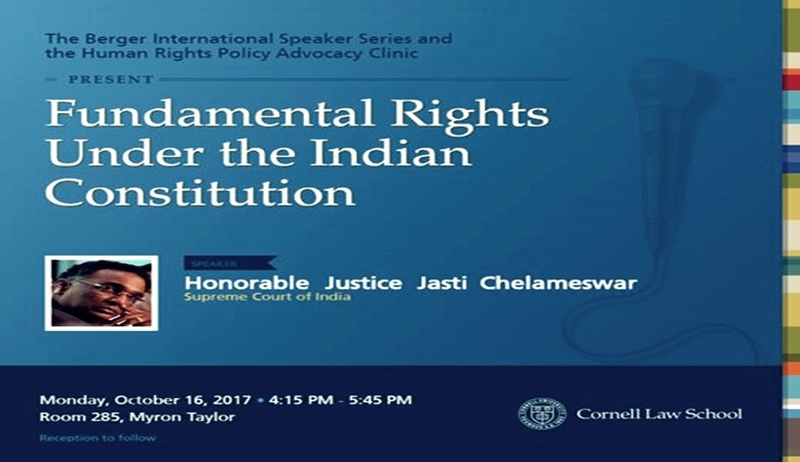 Justice Chelameswar has accepted the invitation to speak and the event is scheduled on 16th October, 2017 at Cornell Law School, Ithaca, New York. The topic is Fundamental Rights under Indian Constitution.